We’re excited to celebrate the Know your Bristol on the Move project at Bristol’s MShed on Friday, 18 September. 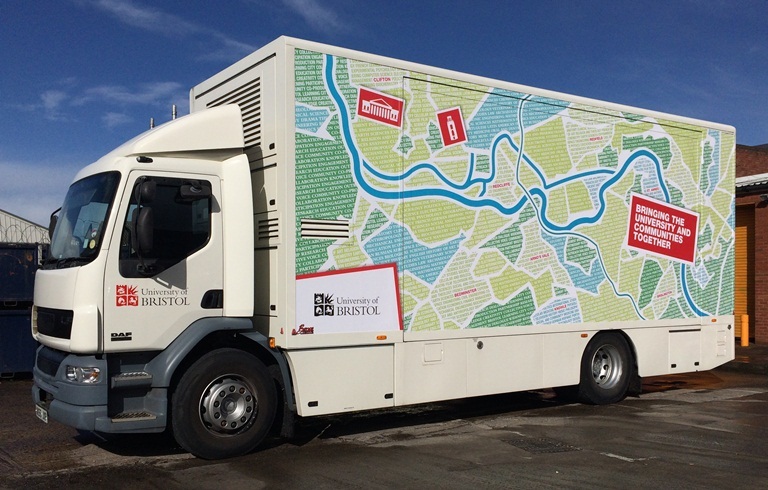 The KYB truck will be outside, demonstrating how to digitise films, and there will be workshops in MShed to involve visitors in using the Map your Bristol website and app. Artists-in-residence, Zoe Tissandier (http://vaughanpostcardcollection.org/author/zoe/) and David Hopkinson (https://www.youtube.com/playlist?list=PLmWCEpa3waUCmWKBEMXmBMQZ399GkZdEB) will be showing the artworks they’ve produced with the communities and archival collections associated with the Know your Bristol on the Move project. Everyone is welcome to drop in to the MShed on Friday, 18 September, from 2-6pm!